83. Which taxes are paid in a closing? Closing costs average approximately 6.5%. The 6.5% is an aggressive number and on many occasions we have actually realized the operation in the 4.5%. I prefer to prepare with higher quotes and to ensure conservative figures for your calculations. Please see Closing Costs for much greater detail of this topic. 84. How much is the transfer tax? Transfer taxes vary from state to state here in Mexico. In Quintana Roo the rate is 2%. 85. What are the property taxes for Mexico area and that general region? They are running a roach factor of about .015% or in other words, for every $100,000 USD in property value you will pay approximately $150 per year in taxes. This of course depends on the region. Call us for more specific details. But never the less it is very low compared to USA. 86. Who pays the Capital Gains Taxes? Capital Gains tax is paid by the Seller. Although in very rare situations, these expenses are covered by buyer as a negotiation tool. 87. How much cash can I bring with me from my original country? Cash, or any other monetary instruments exceeding $10,000 USD, must be declared to Mexican authorities. There are no limits on what can be wire transferred in or out. 88. Do I need to be present for the signing of the title transfer? No. You can establish a power of attorney on your behalf. 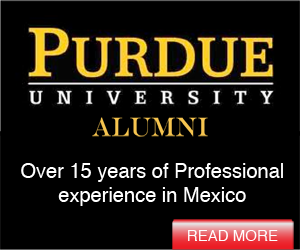 It is recommended that the person you designate to be Mexican National to allow for more efficient process. 89. 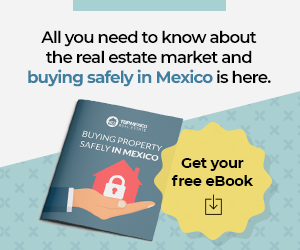 When buying or selling a property in Mexico, who pays the closing costs? It is common practice that the buyer pays the transfer of acquisition tax and all other closing costs, including the Notary's fees and expenses, while the seller pays his capital gains tax and the broker's commission. 90. How should I pay the seller: wire transfer or cashier’s check? Wire transfers from your bank to Mexico are recommended. The buyer can give previous instructions to the bank as to the designated account. At the time of signing in the Notary office, the buyer can call from Notary office giving instructions to his bank to proceed with the wire transfer. Obstacle is the lag time from instructions to actual receipt by the seller. Usually all parties remain in the Notary office until reception can be confirmed. There is a cut-off time for international wire transfers based on what time zone you are in. The other choice is to prepare a cashier’s check. Again, once signatures have occurred, delivery of the cashier’s check to the seller can be realized. The third option is to establish an escrow account. The escrow officer will then administer these money payments to seller and notary public. 91. What is the Public Registry? The Public Registry of Property is a government office where documents are filed allowing for research for actual ownership of land titles and shows if any liens on such titles exist. In Mexico deeds, known to be public instruments, can be researched at these offices which is open to the public. There is a Public Registry of Property in the majority of cities and towns of Mexico. When the notary public prepares to verify and certify a transfer of property ownership, he realizes a 10 year search of the title to verify that there are no liens or encumbrances recorded against the property and also verifies that the seller has the capacity to transfer ownership. 92. When do I receive my Title? The Notary, during the title transfer process, will obtain a certificate from the local City Hall to prove that the annual property taxes have been paid to date. They will also realize a 10 year search on the title identifying any liens on said property. A public instrument must be researched, finalized and signed by the Notary Public. The new title will typically list the parties involved in the transaction including the notary, seller, buyer, and the trustee bank. It will also identify the property. Once the new title finalized and signed by the notary, by the seller, by the bank as trustee (if a bank trust is involved) and by the buyer (who will also be the trust beneficiary if a trust is used), the balance of the purchase price changes hands. Taxes and notary fees are then collected to finalize the operation. A few weeks later, a certified copy by the new owner can be collected for files. 93. Will I own title to the land? Mexico enacted the Foreign Investment Law (the FIL) opening up land ownership for foreigners in Mexico. 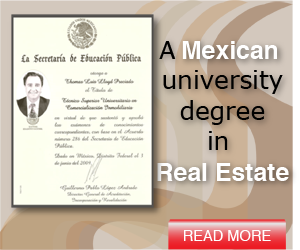 The FIL and its regulations outline the process for foreign investors to acquire properties in Mexico. If the property is not within the Restricted Zone, foreigners can obtain direct ownership with notification to the SRE (Exterior Relations Secretary, Secretaria de Relaciones Exteriores) so long as the foreigner abides to the Calvo Clause item. Properties within the Restricted Zone destined for non-residential activities (i.e. tourism, real estate development, commercial or industrial purposes), can be acquired through a 100% foreign-owned Mexican legal entity which needs to be authorized to have foreign ownership by the SRE and whose by laws contain the Calvo Clause items. If the property is within the Restricted Zone and is destined for residential purposes, foreigners can acquire the rights to use, improve, enjoy, and profit the property through a Fideicomiso. See more details on at Bank Trust.